This table has a blow molded top, and a steel frame. Applications include anything from commercial to home. The blow molded plastic is lightweight, and easy to setup. This table has a white granite top, and gray frame. 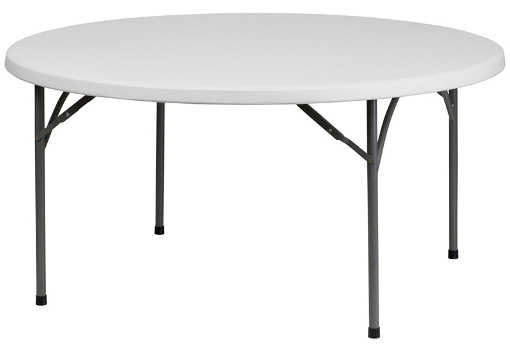 Blow molded tables are very lightweight compared to plywood tables.